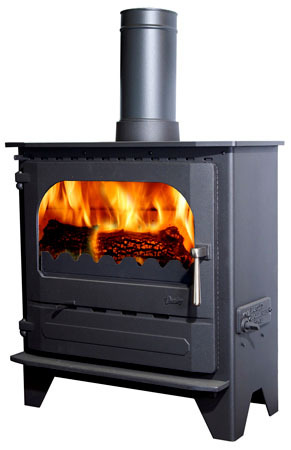 Dunsley can now paint your stove in a selection of colours, this incurs an additional cost over the standard black. The colours shown to the left can be applied to the stove picture by simply clicking the relevent colour, to give you an idea of how the stove might look. Please note: the process of scanning the swatch and the variation in screen displays means that we cannot be held responsible for any differences between the swatch and actual paint colours, and that further enquiries with the manufacturer are advised should you wish to have your stove painted. Please get in touch for more information.